I remember 9/11 like everyone else- every detail of the day. I was in 11th grade and spent the day at school and then at home with my family. I remember each 9/11 since then. 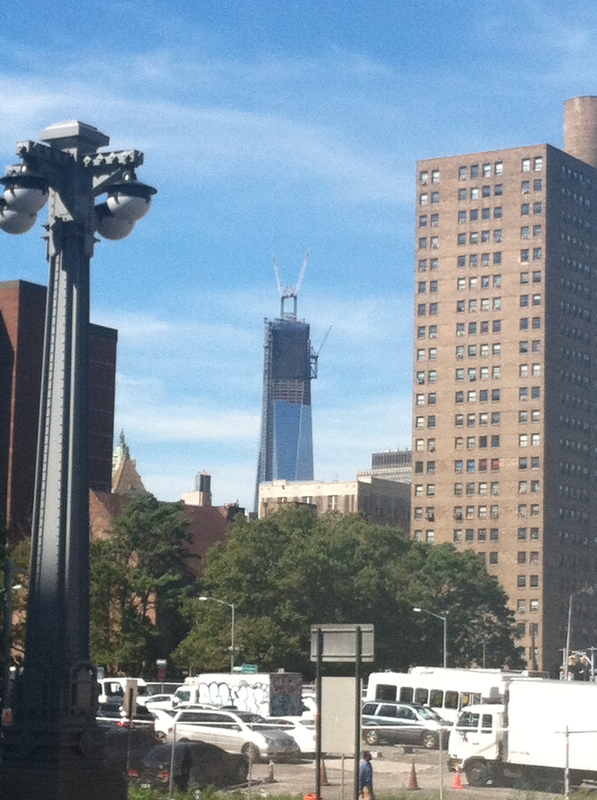 This one, of course, is different because here I am in New York City not far from Ground Zero. I started the day with an amazing run through Central Park. 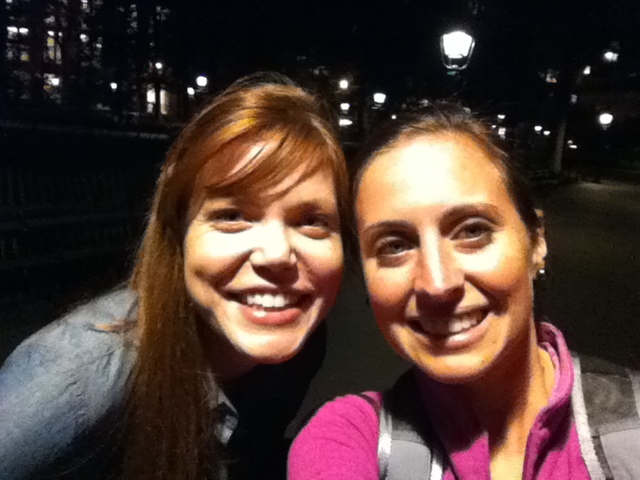 I ran with a new friend and we talked about 9/11, sharing our own stories. She works at Fox News and told me about her co-workers’ stories. Their stories are much different. They weren’t at home or in school, they were in lower Manhattan covering the story live. Such a different experience that they do not like to think about. It was an absolutely gorgeous day Tuesday. 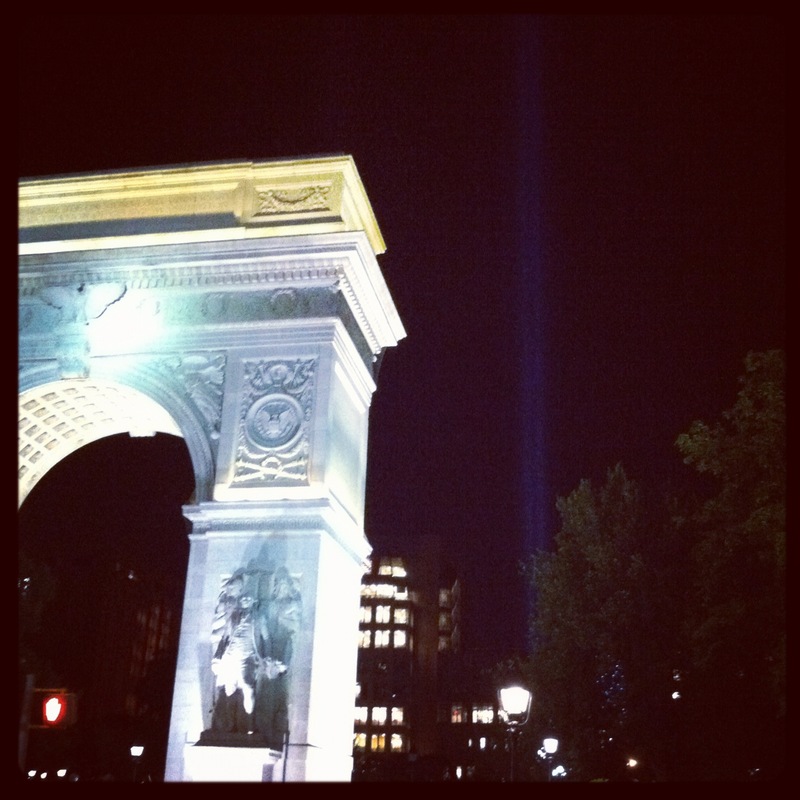 After my run I met a friend in Madison Square Park where we sipped coffee and talked about work and life and our goals. It was so relaxing and a peaceful afternoon. I sat in the park and read for a while longer and then went and met Allison for dinner. 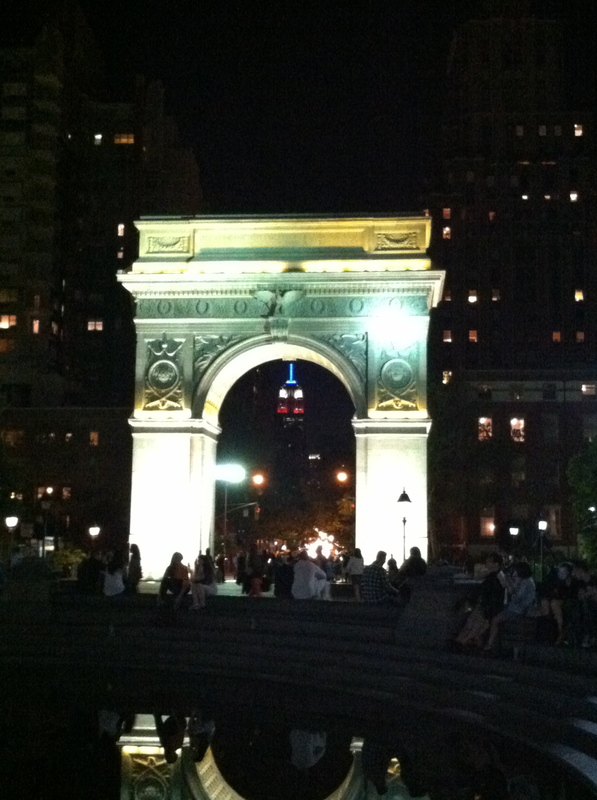 A post-dinner shot of Washington Square Park, still my favorite place in the city. Alli and I at dinner. It was very good to catch up with her. It’s funny how small this city is mileage wise, thus how close we live to each other, but how hard it is to find time to spend with close friends. We’re all very busy, and it’s really nice to take some time to spend with best friends. On my way to meet Emily for drinks I walked through Washington Square Park again and around the NYU campus. I heard girls talking to their friends and on the phone with their moms talking about rush. I passed so many girls talking about it that I had to stop them. They told me all about rush at NYU and which sororities are there. I told them to have fun and enjoy the experience! I then heard another group of people walking around. I assume they were college kids. One guy said to his buddy, “You’re depressed, let’s drink a Four Loko.” This just made me laugh. It was nice to experience the city today, to overhear conversations, to see people enjoying themselves, to know that we are all OK. I love this shot. It’s a bit hard to see but the two light towers are reaching the heavens. It was amazing in person to see how high into the sky they go. For me, this day was perfect. 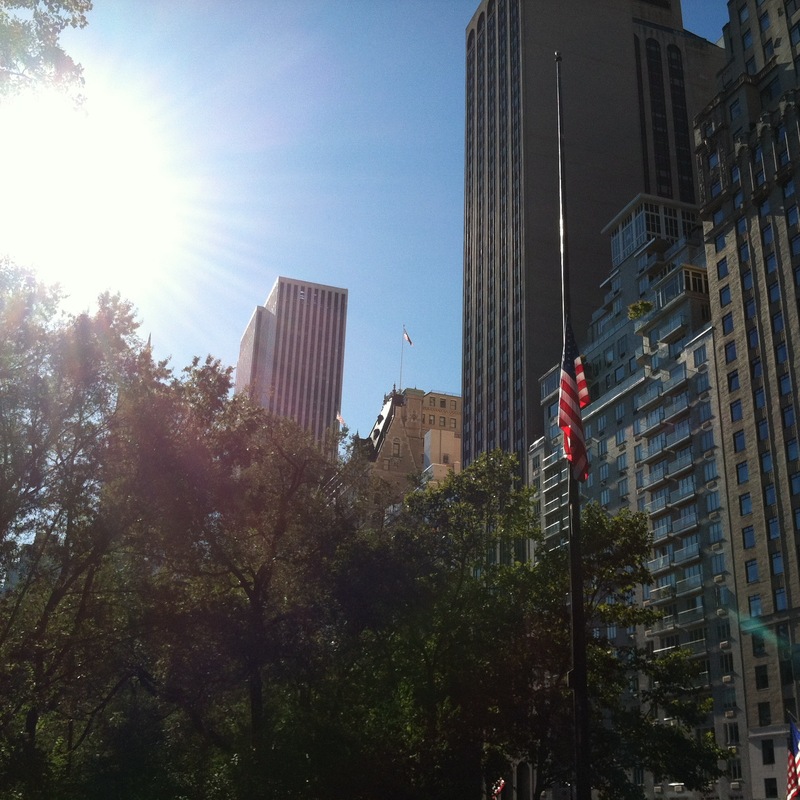 It was also a reminder to remember and be so grateful for everyone who will never see 9/11 as a perfect day again.